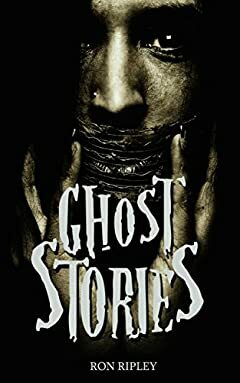 In his first collection of short stories, Ron Ripley delivers eight spine-tingling tales of the strange and the macabre. Weaving an intricate web of storytelling, readers are asked to join him on a journey through some of the darkest of his works. Book a room at the old Croweâ€™s Bed and Breakfast, but be certain you can leave. Join the Treasure Hunter as he digs up graves and awakens more than just the dead. Lay beside a homeless man in a Shelter, but make sure youâ€™re not trespassing. Set up your cameras alongside The Ghost Hunters, just donâ€™t follow them into the dark. Ghost Stories promises to do more than just make you sleep with the lights on. It will plant a cold kiss on your cheek and draw you into the dark where no one will ever hear you scream!